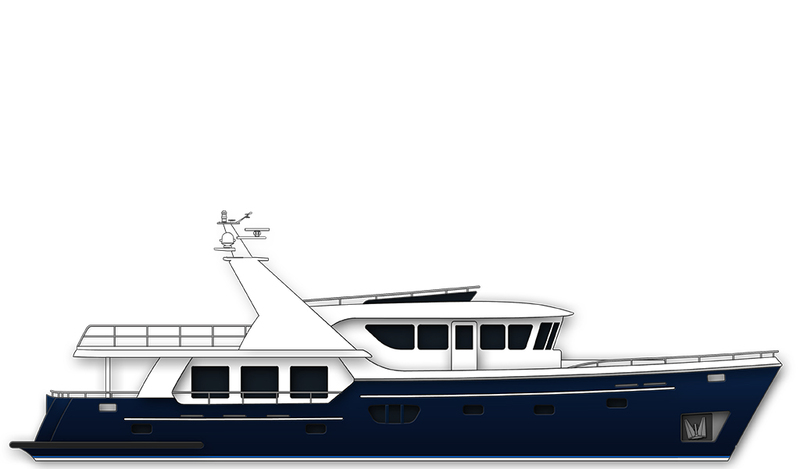 This motoryacht is a modern trawler concept which carries the traces of classic trawler style. The lines of her stepped sheer and stylish porthole give her a modern look. 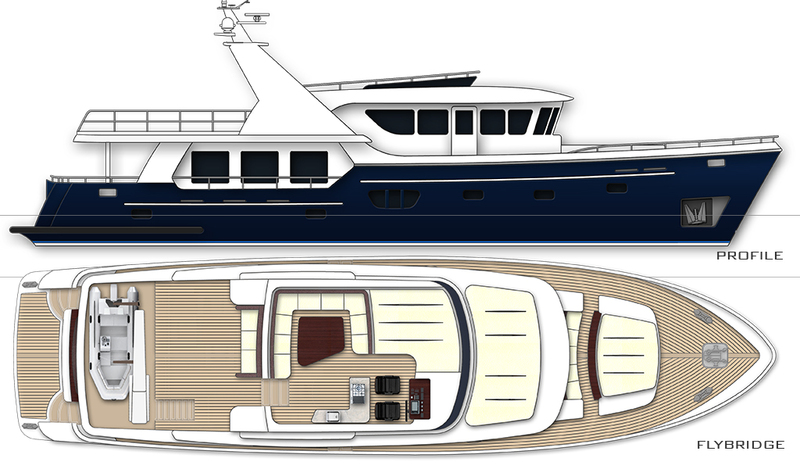 She provides large exterior relaxation and sunbathing areas both on deck and flybridge. 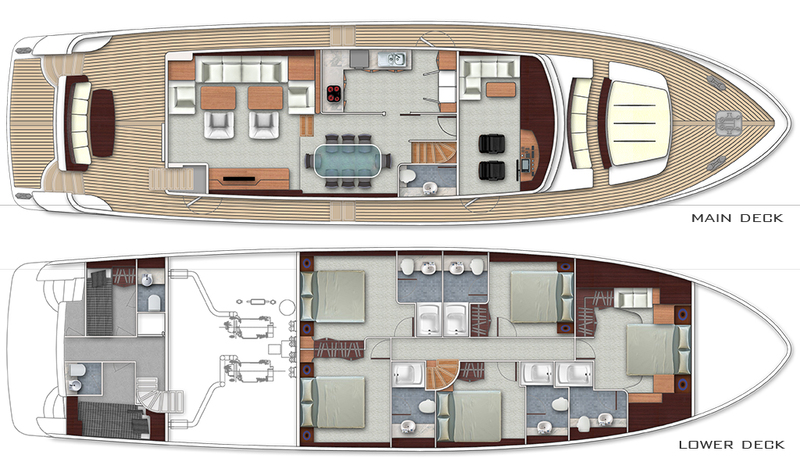 She offers accommodation for up to 10 guests in 1 master and 4 guest cabins.